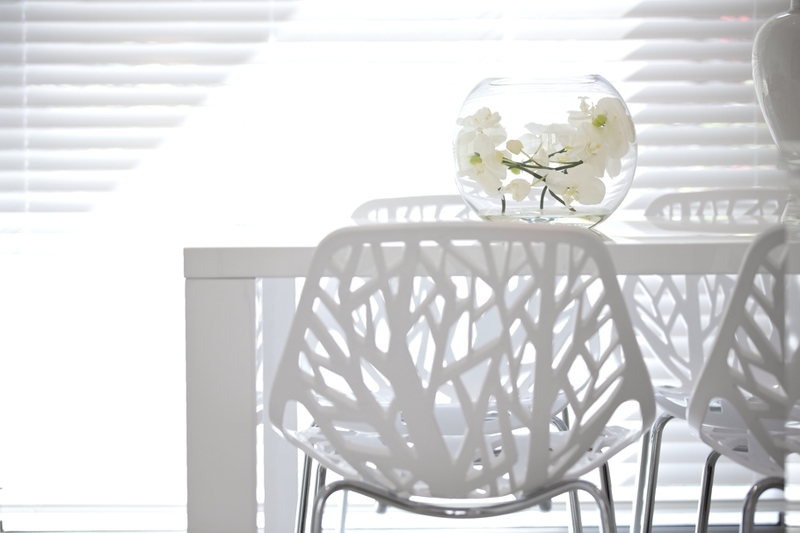 London-based interior design practice Suna Interior Design has completed the 50 Shades of White project. 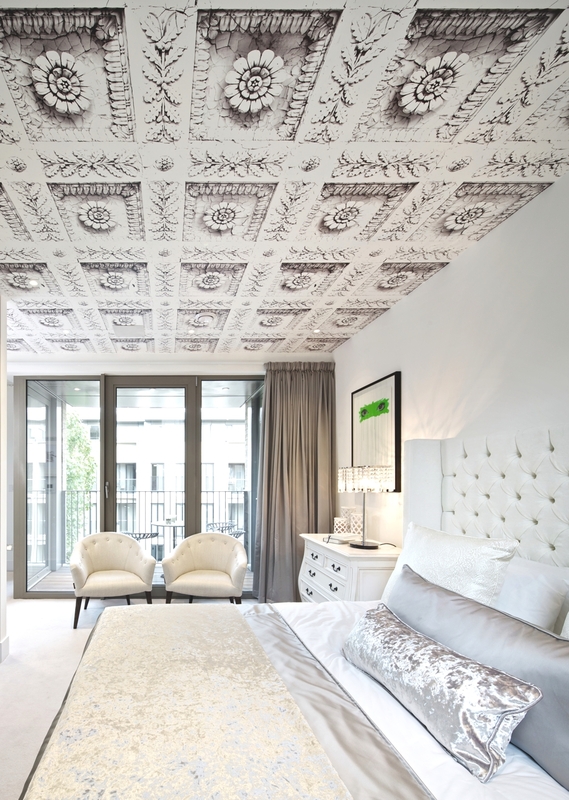 Completed in 2015, the luxurious townhouse is located in Portobello Square, London, England. 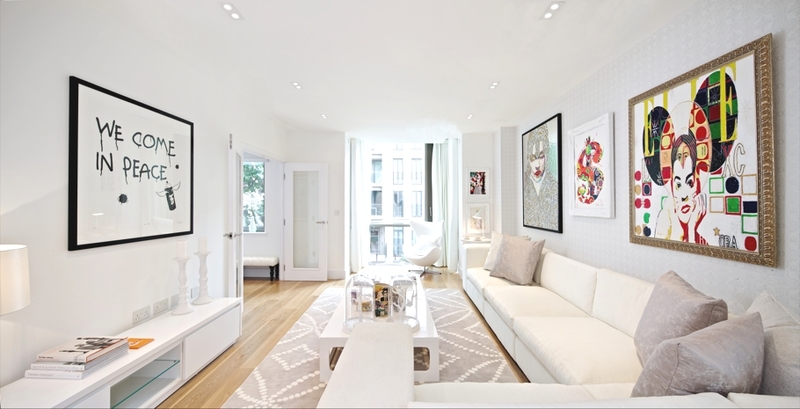 The white-on-white interior design of this townhouse layers abundant shades of white, using texture and nuances of tone. 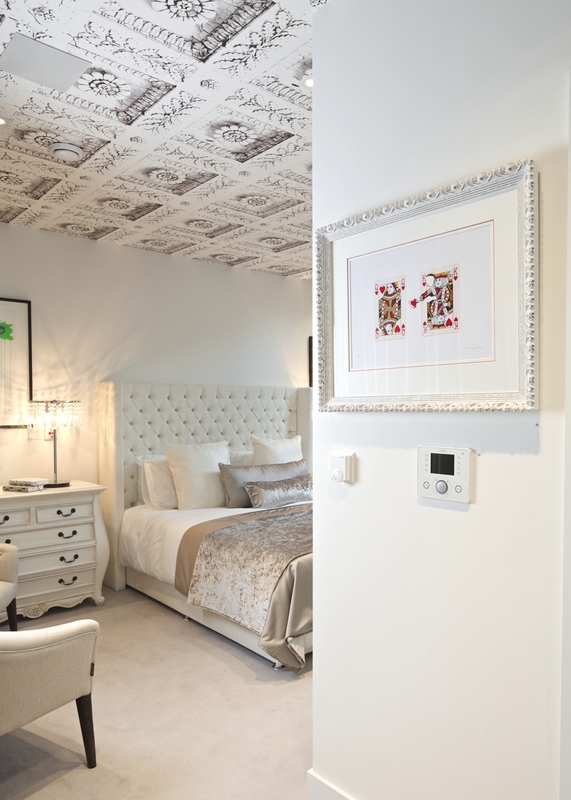 This captivating, alabaster design is home to a contemporary selection of white items of furniture that were to create the perfect ‘gallery space’ to display eclectic works of art, supplied by a local gallery, says Suna Interior Design. Unique works of art adorn the walls, bringing bright punches of colour and intrigue to the rooms while alluring white pieces of furniture, such as the egg chair and Twiggy-style lamp in the living room add a subtle glamour. Suna Interior Design’s co-director and interior designer, Rebecca Tucker created this bespoke design for Catalyst By Design’s townhouse in their new development, Portobello Square in Portobello. “We wanted to design something unique, involving the local community. A talking point, something that hasn’t been done before” said Tucker. White-on-white dining room design with Richard Zarzi’s Andy Warhol Consumerism on the wall and an eye catching chandelier hanging over the stylish white table. The feature wall behind the bespoke white sofa portrays a gallery of works by artist Richard Zarzi. These include: Kate Moss Silver, Mini Angel, Warholl Dollar, David Bowie and Andy Warhol. A Twiggy-style floor lamp hangs stylishly over the sofa, creating an illuminated reading corner. 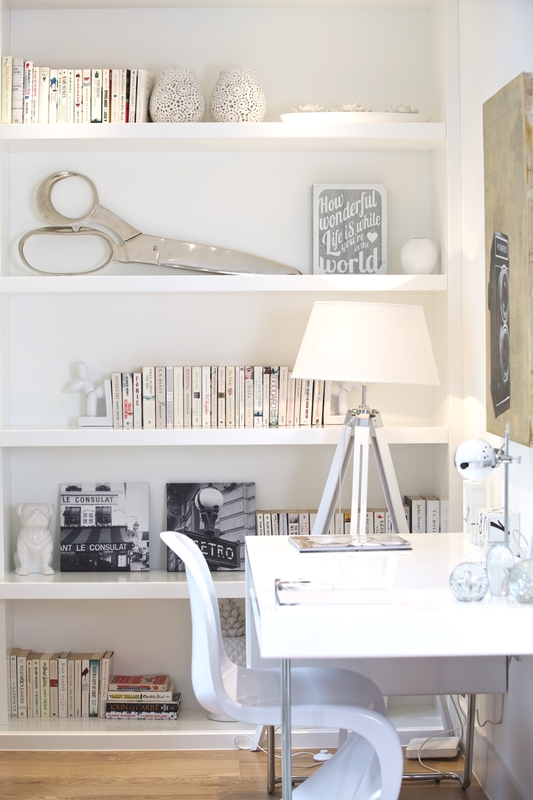 The study is filled with quirky and interesting items that continue the white theme. The artwork hanging over the desk is Matthew White’s Inverse Portrait. A Panton-style chair sits at the desk. Bespoke shelving provides the backdrop, forming a gallery of books and stylish accessories. 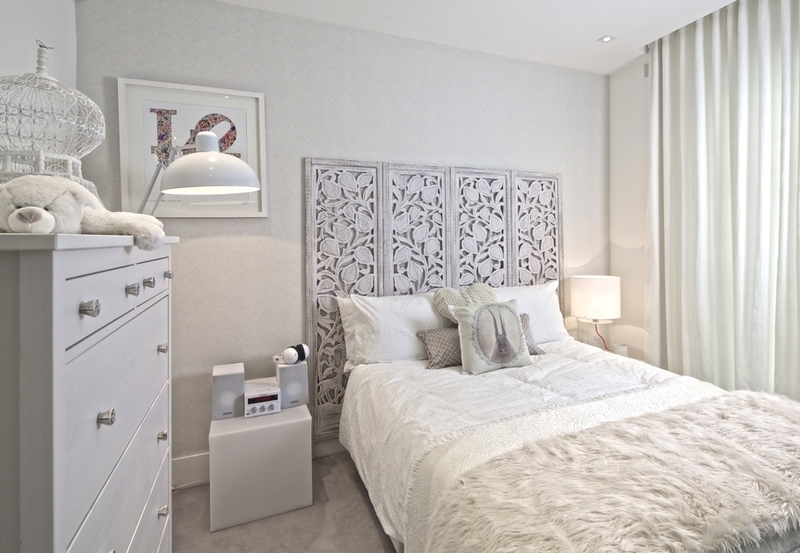 Soft off-whites furnish this bedroom, with an interesting four panel hand-carved wooden screen forming the headboard. Hanging on the wall adjacent to the bed is artist Milo’s sticker collage of Love. This bedroom features Tektura’s Strevens wallpaper lining the ceiling, the large bed has a bespoke, punch-button, white headboard and adorning either side of the bed are works of art by Mydogsighs’ Green Eyes on the left hand side and Tim Fowler’s Audrey Hepburn artworks on the right hand side. 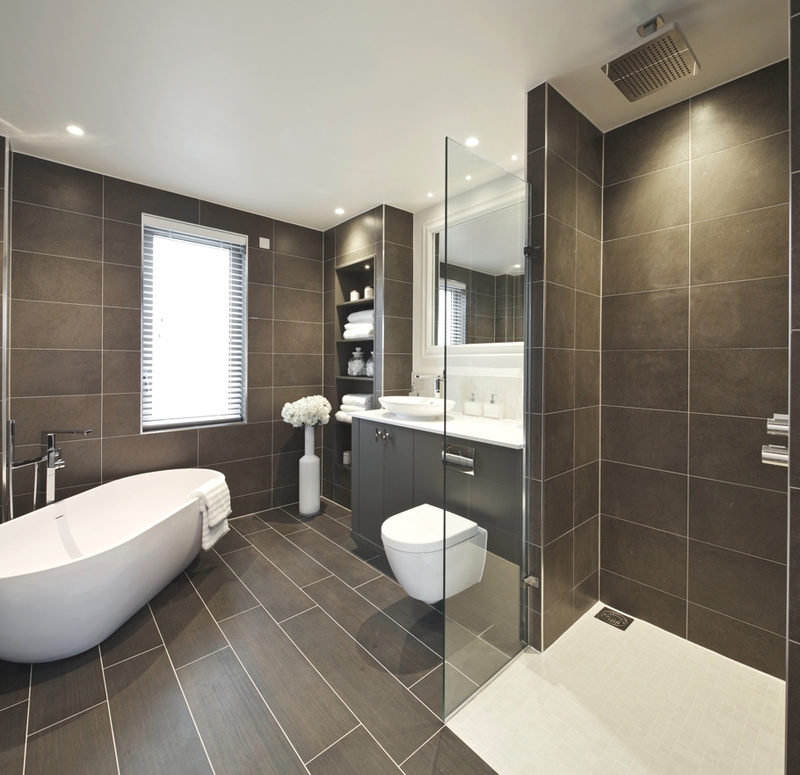 The spacious ensuite bathroom features a stylish Corian stand-alone bath and a walk-in shower, which we love at Adelto. 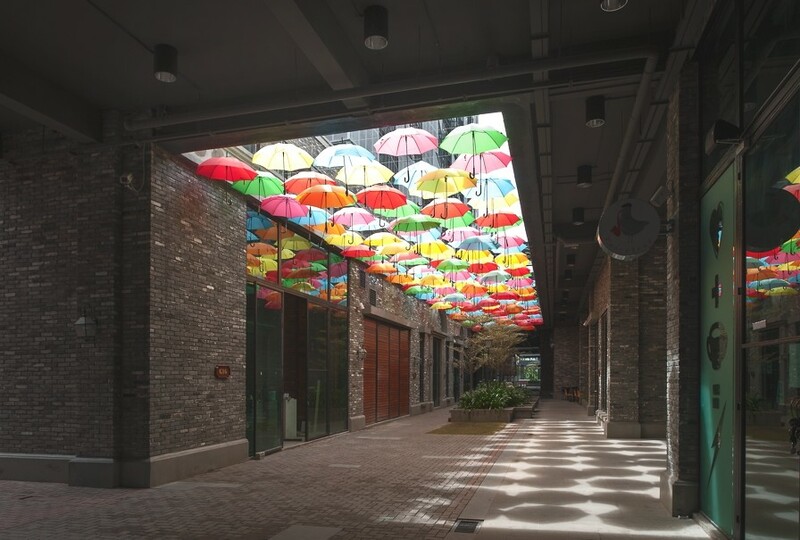 Singapore-based architectural practice, ONG&ONG, has designed the Empire Damansara project. Completed in 2013, and located in Damansara Perdana, Malaysia the development boasts a hotel, units and corporate offices. 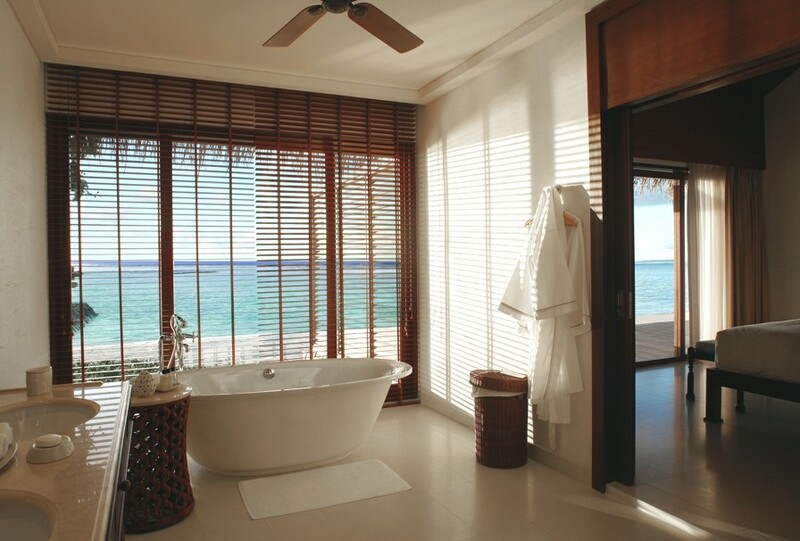 Holidays to the Maldives conjure up images of sandy-white beaches lined by palm trees and lapping aqua marine waters. The Republic of Maldives as it’s officially known is a real paradise on Earth.